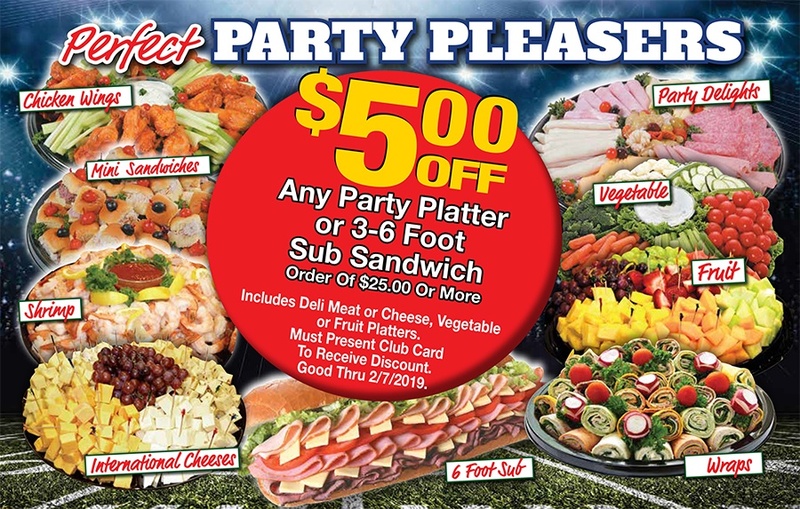 $5 OFF any party platter or 3-6 foot sub sandwich order of $25.00 or more. Includes deli meat or cheese, vegetable or fruit platters. Must use Club Card to receive discount. Call or place orders at your local store’s deli department. Platters made to order. Please allow 24 hour notice on all orders.